We broke out the champagne and party hats after learning that the International Business Association honored our very own OBI Creative with a Silver Stevie Award for Company of the Year in the Advertising Marketing and PR (small business) category. While criteria differ by category, the main emphasis is on innovation, integrity, effectiveness, creativity and growth, as well as the quality of the entry’s content itself. 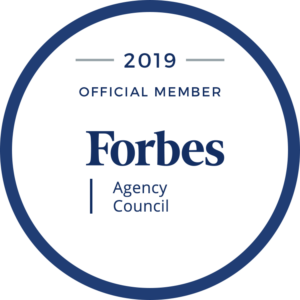 The fact that we doubled our agency in size from 12 to 25 employees and expanded our capabilities, client list and award cache in 2016 worked in our favor. Just this past year, we garnered 28 awards for creative work from the PRSA, AFA, AIGA and MarCom associations. We’re happy that our peers recognize the work of our talented team, but even more thrilled that our work enables real business results. The International Business Awards is the world’s premier business awards program. All individuals and organizations worldwide—public and private, for-profit and non-profit, large and small—are eligible to submit nominations. This year, the 13th Annual IBAs drew 3,800 nominations from more than 60 nations and territories. The Stevie (short for Stephen, which is derived from the Greek word for “crowned”) statues will be presented at a ceremony on October 21 at the Rome Cavalieri Waldorf Astoria Hotel in Rome, Italy. While we’ll most likely be toasting our fellow winners from the comfort of our living rooms (with laurel wreaths of course), we’re proud to bring a Stevie home to Omaha and to help put our city, our clients and our creative front and center on an international stage.